The 70th anniversary of Porsche is to be celebrated at the 2018 Goodwood Festival of Speed, which takes place on 12-15 July in Sussex, UK. It's the first manufacturer to create the central display, including the famed Jerry Judah sculpture, at the Festival three times. 'Porsche has been one of our most loyal and enthusiastic partners, supporting the Festival of Speed since 1995, and the Revival since 2010,' said The Duke of Richmond and Gordon. A parade of important Porsche road and race cars will feature in action on the Goodwood hillclimb. Two participants that can be confirmed already include the company's own 1948 356 No 1 from the Porsche Museum in Stuttgart and the 919 Hybrid LMP1 race car, winner of the 2017 FIA World Endurance Championship. These will feature alongside static exhibits and displays at the Porsche Experience Centre stand, which will host the company’s latest road cars. This year, they will be joined by models that provide a glimpse into the future. Visitors will be able to participate in a passenger ride in the all-new Cayenne, as well as take the wheel of a race car virtually via simulators. 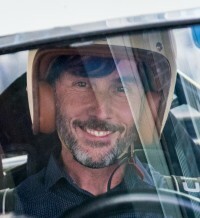 Alexander Pollich, managing director of Porsche Cars Great Britain, said: 'We thought long and hard about how best to celebrate the 70th anniversary of our sports cars and how we could share this with enthusiasts, Porsche fans and owners here in the UK. More details of the Porsches, both old and new, participating in the Festival of Speed will be released in the coming months. More information on the Goodwood Festival of Speed can be found at the Goodwood website. For more on the Porsche 70th celebrations, click here. The celebrations include The Porsche Effect at the Petersen Automotive Museum.